I had a few minutes at work night between assignments so I decided to head out for dinner. I was driving down the Beltline looking for something to eat, but really wasn’t coming across anything that sounded good. I pulled in to a Wendy’s thinking that was good enough then I noticed what looked like a deli in the strip mall surrounding the Wendy’s so I went to check it out. 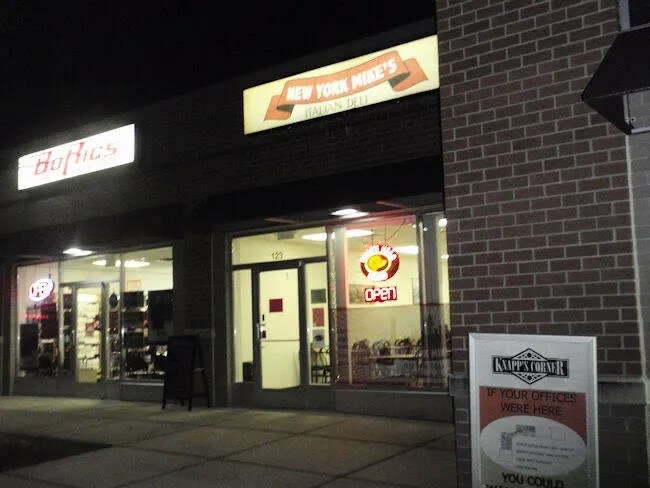 New York Mike’s Italian Deli is right on the Beltline next to the Meijer store just south of Knapp Street. It’s a pretty small space in a pretty typical strip mall. There are a handful of tables in the front with the kitchen and order counter all the way to the back. There was a couple already ordering when I walked in so I headed to the big menu written on chalkboards on the back wall. I was really hoping for a good Pastrami sandwich since the place had the word “New York” in the name. The kitchen was occupied by a man I heard another customer call Mike and a woman I heard “Mike” call mom. It looks like the place has been open for about six months with the grand opening happening in June. The few reviews of the place I could find online were all pretty positive. The man in the kitchen was working on the order for the couple in front of me while his mom was working on getting them sides. Besides being a restaurant, they are also a deli that sells Boar’s Head meats and side dishes. As “Mike” was heading to the walk in to get something, he asked if I knew what I wanted. I found a pastrami sandwich on the menu which also had corned beef, Swiss cheese, and a grainy mustard served on Pumpernickel bread. I have no idea if the Pastrami is made in house. I actually assume it’s Boar’s Head, but I could be wrong. I do know the pastrami is steamed then it’s grilled. The corned beef and bread also spends some time on the flat top before it’s all put together. While the sandwich was cooking, the woman working the front of the counter rang my order up. The sandwich set me back almost $10 and it took a little under fifteen minutes until it was wrapped up and put in a paper bag for me to take back to work. I ended up eating in my car in between tasks at work. The sandwich was very tasty. 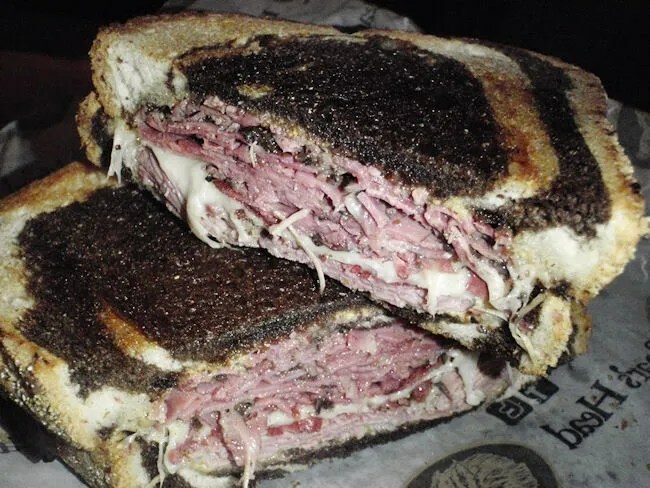 The pumpernickel bread had a light toast to it and the pastrami was delicious. The melted Swiss cheese and grainy mustard held the whole thing together. The corned beef kind of got lost, but that’s alright because what I really wanted was the pastrami. 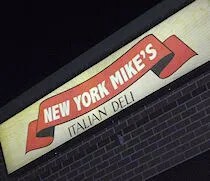 As I’ve mentioned several times in the past, I really don’t know what good pastrami is….I just know what I like and I liked New York Mike’s. The sandwich came with a pickle spear on the side and the combination of the two was just enough to satisfy my every growing hunger.